WooPOS offers powerful inventory management that enables you to track, maintain, and view stock levels across multiple sales channels in real time. Investing in new real estate takes time, but adding a new location to your WooPOS is instant. From the sales floor or the sidewalk, to pop-up shops and trade shows, WooPOS makes it easy to set up temporary storefronts. Real-time inventory and customer data synchronization across your fleet of stores makes managing store operations a smooth process. Quickly lookup inventory between stores for efficient customer care. Returns can be processed and tracked at any location regardless whether they were purchased there or not to improve customer satisfaction and retention rates. Have a customer that wants to redeem a Gift Card they purchased at one of your other locations? No problem. Store credits, points and gift card redemption and updates can be processed at any location for convenient customer care, and automatically update for extra fraud protection between stores. AR can be paid at any location. Order and pickup can be done at different stores. 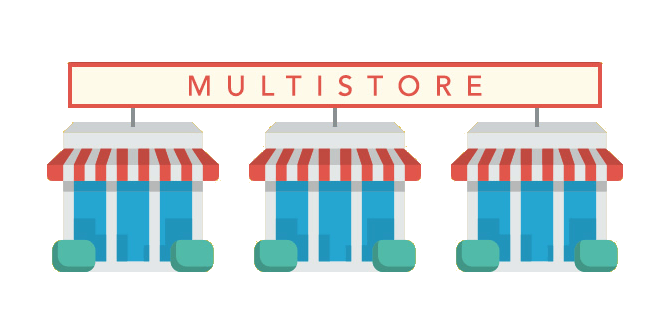 Track multi-store performance statistics and metrics so that you always know how each store is doing, which inventory sells best at which store, who your top performing employees are at each location, and what types of customers each location attracts. WooPOS will help you to track and analyze your multi-store data to arm you with the knowledge you need to make informed decisions.